Travelling with T recently, I had to look for nursing rooms at the airports to nurse her as she would not take a bottle from me. Plus, it was even harder looking for hot water dispenser at the airports! I found the breastfeeding room at Kuching International Airport to be way better than the ones at KLIA. 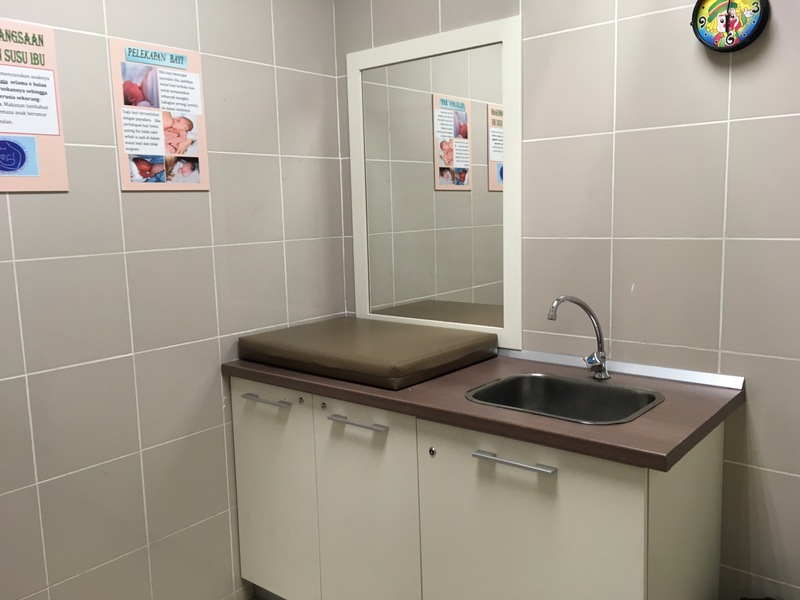 Although small, but there is more than enough space inside to sit and nurse comfortably, there is also a changing station and sink for changing your baby. Plus, the room can be locked for privacy and only a nursing mom is allowed inside. I did not quite like the nursing rooms at KLIA as the doors can’t be locked and there are only curtains for privacy. There were people coming in and out of the rooms and even talking loudly! 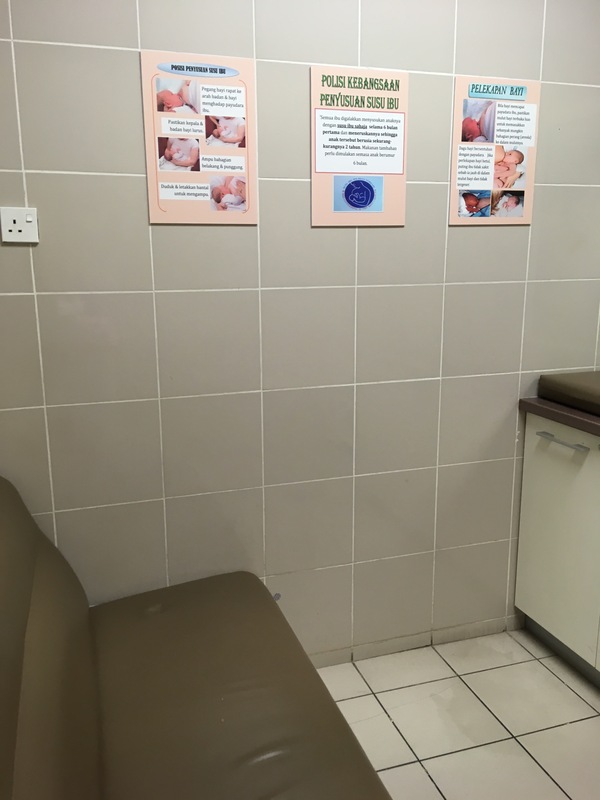 Kuching International Airport’s breastfeeding room is quite comfortable enough to nurse in privacy. There is also a small corner table with pamphlets on breastfeeding from the local hospital and health ministry. Unfortunately, there is no hot water dispenser which would be very helpful for moms who need to make a bottle of formula or warm up a bottle of expressed breastmilk 😦 In fact, I actually found it quite difficult to find a hot water dispenser at both KLIA and KIA. The room is located next to the ladies washroom after Coffee Bean at the departure hall (follow the nappy change room signage). Well done to the airport management, Sarawak government and health ministry for supporting breastfeeding by providing this facility. Although, from my observation, it seems to be pretty under utilised.